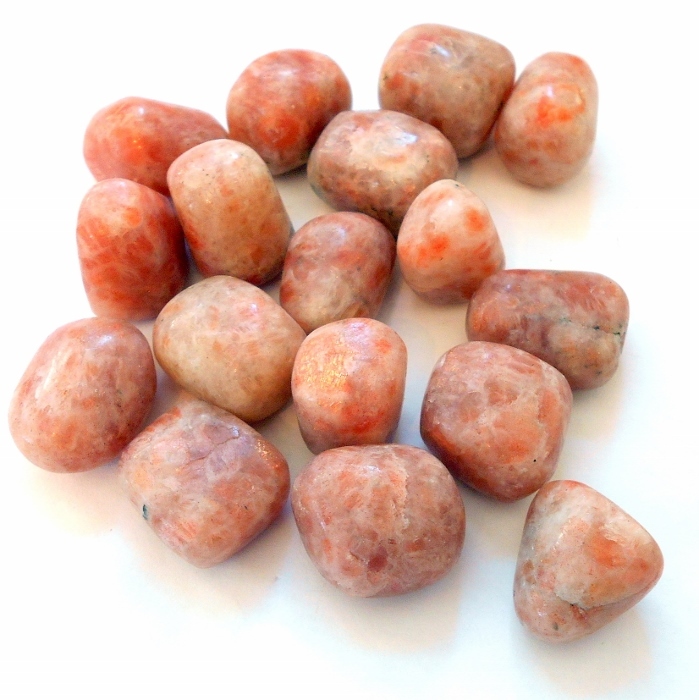 Gorgeous vibrant orange sunstone polished gemstones to add to your earthegy energy rock collection. Sunstone attracts good luck, but the definition of luck in this case is simply being in the right place at the right time. Sunstone helps you navigate yourself to the right place that you need to be, in perfect synchronicity with the world around you. 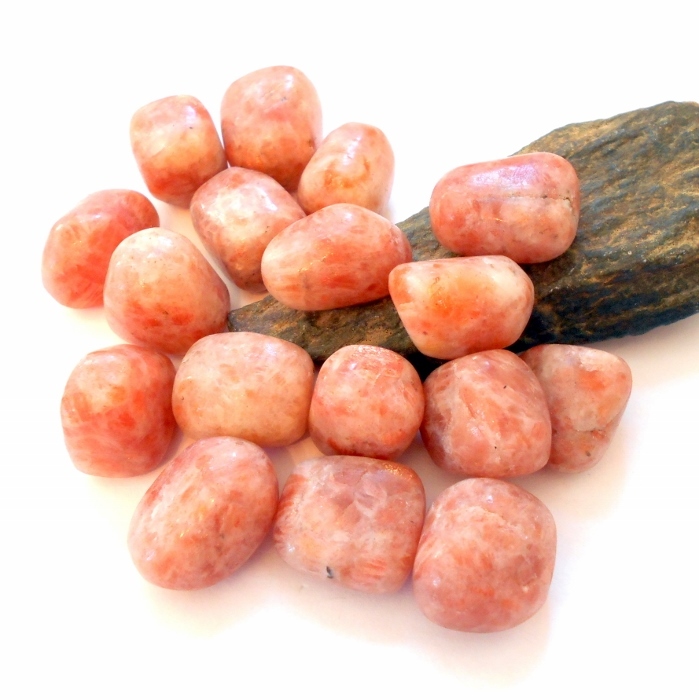 Sunstone lifts depression and is especially useful for seasonal affective disorder, bringing its joyful light into otherwise foggy or dark surroundings. It is a gemstone of optimism and enthusiasm. 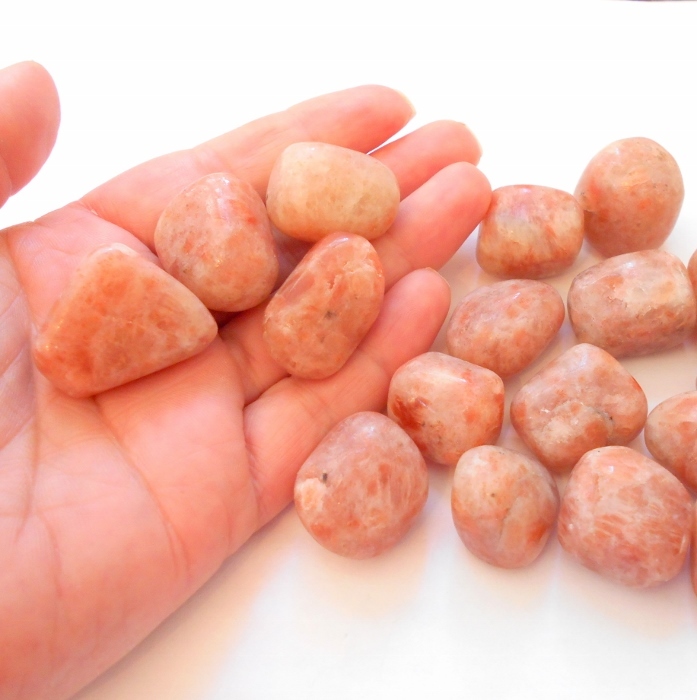 Sunstone gemstones are approximately 3/4 to 1 1/2 inches. They were mined in India and have cream colored feldspar with gold flashes and tons of schiller. Price is for one polished stone.